With Memorial Day just a few days away, our editors wanted to inspire you with a few conscious party selects. Invitation list. Check! Food + drink menu. Check! Conscious party essentials, here you go! Eat for Equity organizes monthly benefit dinners with a participatory, community-driven approach to giving. This simple idea of making themed meals, tied to a cause, has raised tens of thousands of dollars for local and international nonprofit causes, and has engaged thousands of individuals across the country. Sturdy, leak-resistant and made in India from fallen palm leaves pressed by steam. Each has it's own unique pattern. Though designed for single use, with proper care you can re-use them a few times. This party perfect kit features: 24 Natural Dinner Plates and 24 Black Bowls, 24 Red Mesh Susty Party Cups, 50 Red Striped Straws and 50 Red Cutlery Sets. The plates and bowls are made in the USA, home compostable and super sturdy. Susty Party's colorful striped straws are made in the USA out of sustainably harvested FSC-certified paper. They're compostable and paper recyclable. Cooking and serving with The Nonna Spoon really makes it worth having dirty dishes. A portion of the proceeds from this purchase will be donated to World Food Program USA, helping to fight hunger worldwide. Apolis and lifestyle magazine Kinfolk released the reusable Garden Bag, handcrafted by an artisan women's co-op in Bangladesh and finished in California. As with all Dolma products, the tablecloth is handmade in India and is 100% Cotton. Machine wash cold, line dry, warm iron. 09 | Platters by Brooklyn Slate Co.
Brooklyn Slate’s elegant and ecological cheese boards are made from slate that is sourced in upstate New York and shaped by hand. Remember, Memorial Day is a day of remembering the men and women who died while serving in the United States Armed Forces. We thank our heroes for their bravery and courage. 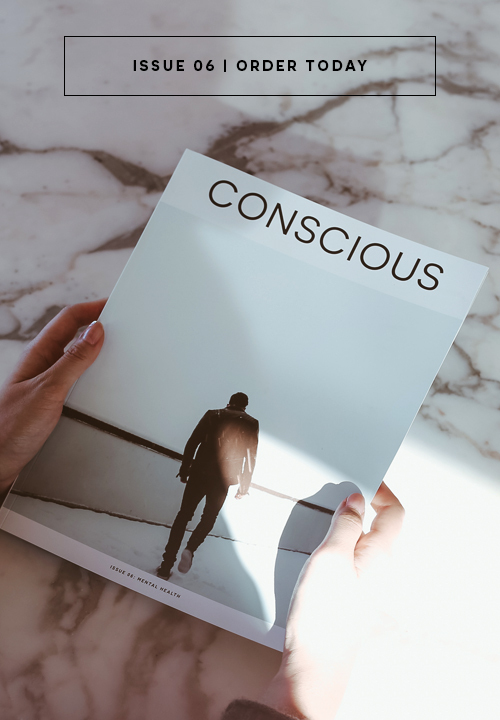 › Be sure to subscribe to Conscious Magazine to get more stories like this delivered right to your home.